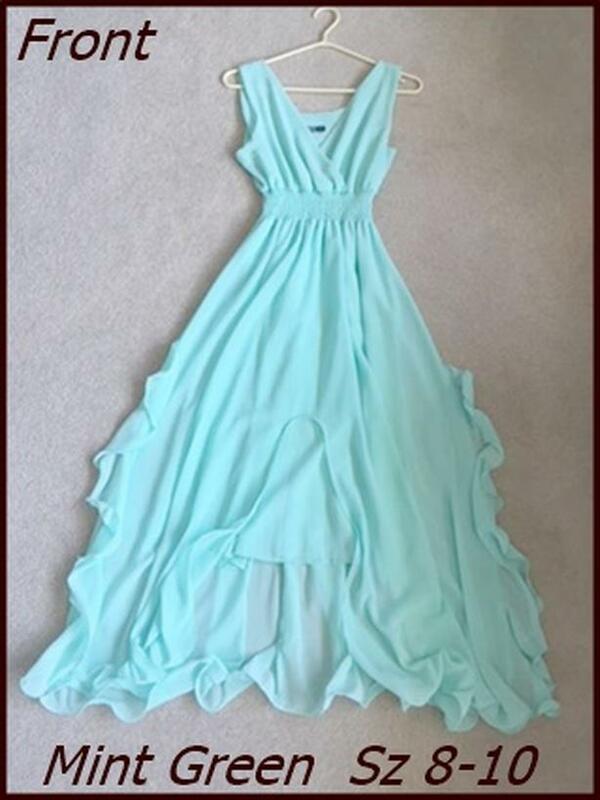 This is a beautiful mint green gown for a fancy spring or summer party, graduation or wedding, shower maybe. It has fancy ruffles down the sides and two layers of fabric. Low price of $30. is a bargain for sure! The tag says large - I think it's Sz 8 - 10.